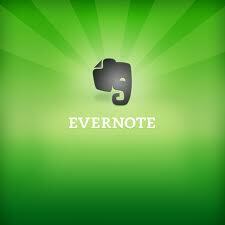 In a bid to help me organise my writing a little better – my husband has just installed Evernote on my laptop. In truth I think his efforts to help me get organised are part of his ongoing procastination over actually writing his book. Since his return to blogging on 18th March he has written about how rubbish it is that he left it 70 days between posts, a great quiz inviting his readers to guess whether a series of photos were real places or CGI, his goal to create the world for his book, his first attempt at creating a map of the world his characters will inhabit, a list of the fantasy books that sparked his interest, an exam about the cliches dominating the fantasy genre, a blog in which he explores the pros and cons of available software for writers. As he was happily tapping away on my laptop and extoling the virtues of Evernote I pointed out the fact that he had not actually written a word of his book in this time. He acknowledged that this was true and suggested that maybe he should start by creating an outline so he knows where his story is going. When I retorted that this was simply another stalling technique – he simply ignored me.